Insights from Schopenhauer’s Essays and Aphorisms book. One thing that fascinates me about old philosophy is how relevant it still is today. Marcus Aurelius’s Meditations, written over 2,000 years ago, is a classic example of timeless wisdom. Read it now and the advice given could have been written yesterday, not in 180 AD. Human nature does not change. We like to think we’re more advanced than previous generations but when it comes to the human condition our evolutionary blueprint is the same. 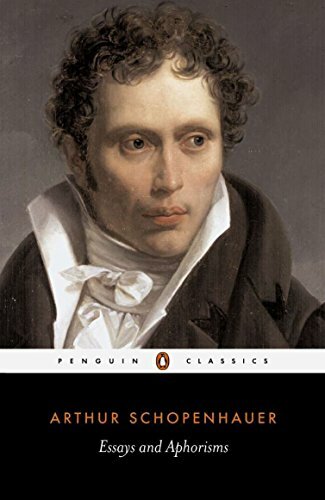 I bought Arthur Schopenhauer’s Essays and Aphorisms (Penguin Classics) a couple of weeks ago and it is full with chunks of wisdom on how to live a life. It’s a condensed view of many of the German philosopher’s perspective on a range of topics, from religion to suffering to women. Like Meditations, it overflows with wisdom that remains relevant (if not more) to this today. Reviewers on Amazon recommend reading Schopenhauer’s classic book, The World as Will and Representation to get the full view of his thoughts. If, like me, you’re new to him then this book is a good introduction. Below are some quotes I’ve pulled out of from it. “The scenes in our life resemble pictures in a rough mosaic; they are ineffective from close up, and have to be viewed from a distance if they are to seem beautiful. That is why to attain something desired is to discover how vain it is; and why, though we live all our lives in expectation of better things, we often at the same time long regretfully for what is past. “People who pass their lives in reading and acquire their wisdom from books are like those who learn about a country from travel descriptions: they can impart information about a great number of things, but at bottom they possess no connected, clear, thorough knowledge of what a country is like.